This article was written for Mute Magazine. 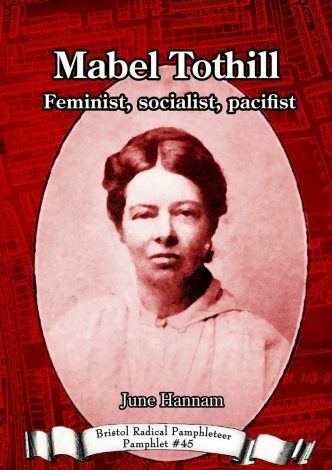 One of the objectives of Bristol Radical History week was to re-examine some of the momentous events of Bristol’s history that have been often dismissed by historians as ‘chaos’ or ‘inexplicable’. The process of this examination by academics, local historians and interested punters during the week exposed some of the key problems of historical analysis. The three days of rioting that occurred in October 1831 in Bristol were certainly a case in point. The events are usually portrayed as the actions of a drunken, debauched mob with no rhyme or reason and necessarily put down violently by the authorities with undisclosed numbers of casualties. 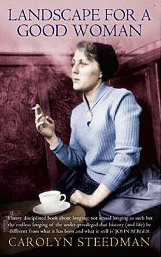 There is considerable written evidence of that describes the ‘horrific’ events from the point of view of the local media and ruling classes but apart from the dubious legitimacy of court case records (where four supposed ‘rioters’ were hanged and 88 transported or imprisoned), there are no accounts from the rioters. As part of our commemoration of the 175th anniversary of the 1831 riots we organised with Bristol City Museum and Art Gallery to view the numerous paintings and engravings of the events, which are of course the only visual record. 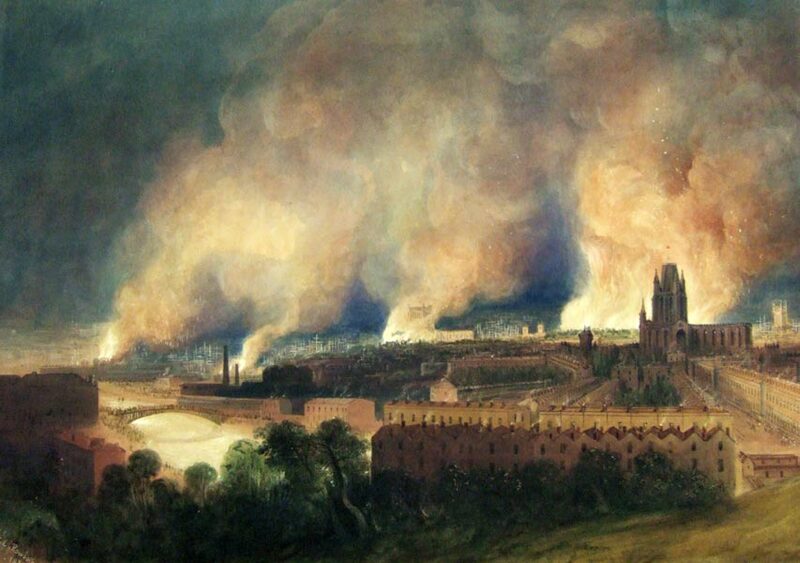 The fine art curator (and co-author of a book about water colour artists of the period) pointed out whilst we were viewing a landscape view of the burning city that the ‘wealthy people believed that the whole city was going to burn and began to leave…it was chaos’. As we studied the painting we asked her to describe the locations of the various fires. These included the massive New Gaol, the Bishop’s Palace, the Mansion House and the elegant realm of the wealthy Queen’s Square (the origin of the riot). We pointed out that it looked more like a series of ‘precision strikes’ to us (with less collateral damage than the US air force of the 21st century!). The working class districts south of the river were untouched as were the poorer neighbourhoods local to the fires. The final toll of devastation included three more prisons (with all the prisoners liberated) and the Custom House with the Cathedral coming within a whisker of destruction. We suggested that this wasn’t chaos at all, the mob had clearly been organised enough to traverse the city, picking targets and dispatching them with precision. She replied ‘Well, I suppose it depends on what your definition of chaos is’. 1831 was a period of significant unrest in Britain centred in the political arena around issues of parliamentary reformand the abolition of slavery. In France in 1830 suffrage issues had caused a revolution that had brought people to the barricades and forced the King to abdicate. The warning signs were there for the corrupt and tiny minority that controlled political power in Britain. 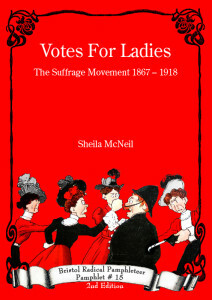 As a pacifying reform, a bill that would extend suffrage to a small section of the middle class was introduced and then defeated in the House of Lords in September of that year. 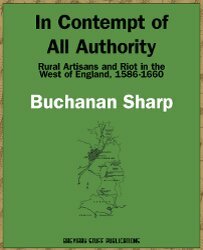 Public anger was widespread, there were riots in the Midlands against anti-Reform aristocrats, the effigies of Bishops who were against reform were burned and there was widespread sabotage in factories and mines. 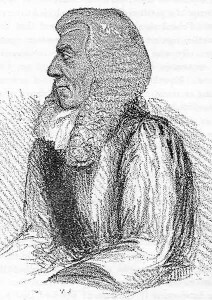 In Bristol the magistrate, Sir Charles Weatherall, a notorious opponent of reform arrived in the city to open the hated assizes and decided to celebrate the defeat of the reform bill with the Bishop and other notaries. 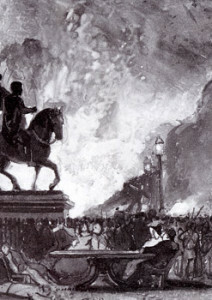 A protest by pro-reformists was joined by an angry mob who then attacked the Mansion house where Weatherall tried to take shelter after his carriage was stoned. 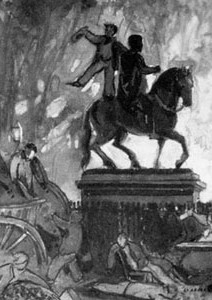 After a cavalry charge by the Light Dragoons cleared the crowd from Queen’s Square the wealthy merchants who made up the notoriously corrupt Bristol Corporation must of thought the unrest was over. How wrong they were! The next day the mob returned with greater numbers and with a determination to burn, loot and destroy those institutions that they despised, the prisons, the houses of the rich (Queen’s Square, the Mansion House) and the houses of the corrupt (the Bishop’s Palace, the Cathedral). 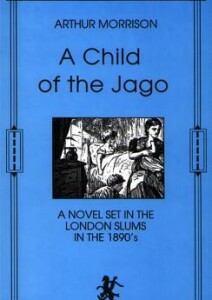 Some middle class pro-reformists attempted to halt the actions of the crowd by trying to convince them that Weatherall had left the city and in so doing had completely missed the point. This wasn’t about parliamentary reform any more this was an explosion of class anger expressed in characteristic Bristol party of looting, drinking and destruction! It is ironic that to this very day the crowd are misunderstood by academics, just as they were misunderstood by the pro-reform middle classes of the time. Staring us in the face is the undisputable evidence of the systematic destruction of selected targets yet because the rioters did not leave memoirs or convenient minutes of their meetings (sic) they have no agency according to many historians. 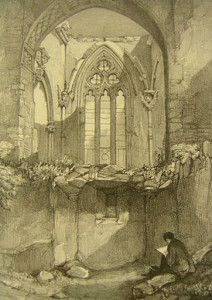 This problem was encountered several times during the analysis of 1831 and similar events during the history week as academics explained that they had vainly searched for evidence of pre-meditation, the involvement of ‘political clubs’ in fact anything that they would regard as physical evidence. 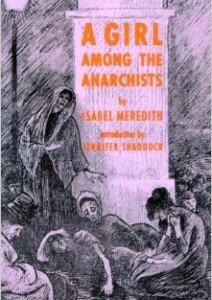 The problem of course is that the class of people who probably took part in the rioting were mostly illiterate, were completely excluded from conventional politics and had no interest in telling the truth to the authorities (or to historians for that matter) as it may have got them executed, imprisoned or transported. 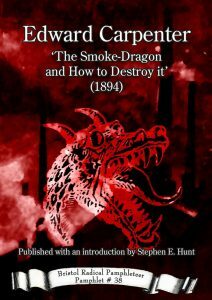 They did of course leave physical evidence in the gutted prisons and burned houses of the wealthy rulers of Bristol, something which many revisionist historians have found an uncomfortable but indisputable fact ever since. As was pointed out by Tristram Hunt recently in the Guardian in a series of articles looking at the most ‘over looked moments in British radical history’, the 1831 riots in Bristol have not entered the left wing/liberal ‘hall of fame’. In my opinion, there are some key reasons for this. In 1819, twelve years before the events in Bristol, in Manchester at Peterloo, a massacre of reform protesters occurred. 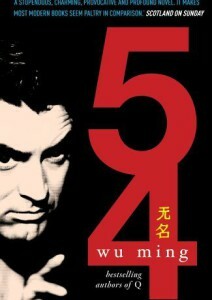 This event is well known, extensively researched and commemorated. All the boxes are ticked. The protesters at Peterloo had a clearly defined political aim within the context of parliamentary reform, they were organised in a conventional manner and were peaceful. In contrast, the crowd in Bristol went violently on the offensive, they were not organised in a manner that was understood by the left (to this day I would argue) and had clearly broken out of the confines of conventional politics. 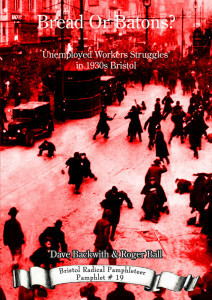 The Bristol crowd had a historical antecedent, the Bristol weavers and Kingswood colliers of the 18th century who used riot as a weapon for price control and wage demands. This was their political heritage and it comes into conflict with what was and is generally understood as being ‘radical’. Consider the following excerpt from a larger piece considering whether Bristol had a ‘radical’ past, written for the 2006 Bristol ‘Festival of Ideas’ a civic event attempting to rejuvenate the city as a centre of intellectual activity. This piece is interesting as it exposes some of the criteria that are laid down by much of the academic community on what constitutes ‘radical action’. Firstly it has to be ‘organised’ in a manner that is understood by historians. As I have touched on earlier this would mean a formalised ‘political’ organisation with documentation, constitution and a recognised platform. The riotous 1831 crowd in Bristol clearly operated on a completely different basis but this does not mean they were not organised. Their organisation would be far more analogous to a ‘network’ constituted around social ties from the factory, the pub and the street than the smoky rooms of the political club. This creates significant problems for an analysis based upon empirical evidence. How do we analyse a network based upon informal ties outside of clearly defined institutions? As an example of such an informal network, it was pointed out to a slightly incredulous audience at Bristol Radical History week that the organisers of the event, ‘Bristol Radical History Group’ did not exist, that is in the sense of being a clearly defined formal organisation concerned with history. 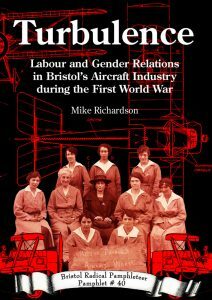 Instead the network of people across the city who organised the events were related more by connections to a sports club than to any local history group or academic institution! 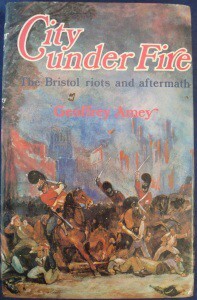 An empirical analysis by future historians, following the logic of connection by formal organisation would probably come to the completely wrong conclusion that the Bristol Radical History Week was organised by the Regional History Centre at the University of West of England rather than a bunch of footballers. I give this example as it exposes the problems of method and a priori assumptions of what constitutes ‘organisation’ within historical analysis. The history of science contains many similarities. Often whole branches of enquiry are either crudely written off or simply ignored or because they cannot be successfully explained by the current theory. These neglected areas wallow in obscurity often for decades (or even centuries) until they either cannot be ignored any more because of the development of linked areas of research or because some bright sparks crack them open. Within the frame of historical analysis the informal networks that create communities, generate and develop political ideas and sometimes create and motivate crowds to take action are not well understood, but they exist (as we all know). Historians often ignore them because they are hard to empirically analyse, complex and so difficult to get a grip on. This is one of the reasons why I believe events such as the 1831 riots in Bristol are either written off as ‘chaos’ or ignored. Returning to the critique of Bristol’s radical past; ‘You could say that its failure to produce a strong corresponding society (to lobby for parliamentary reform) at the time of the French Revolution… only reinforce the argument (of its non radical past)’ There are some massive ironies here. Clearly the French revolution was not principally carried out by people ‘lobbying for reform’, so why should progressive action in Britain only be understood in these terms? In fact it was the action of the ‘Parisian mob’ (or as we might say, informal networks of ‘sans-culottes’) that pushed a potential political compromise with the monarchy into a full-blown revolution between 1789 and 1792. After all who actually stormed the Bastille? Was it just the inhabitants of political clubs? The riotous crowd of 1831 in Bristol may have more direct connection with the ‘sans-culottes’ of Paris than is at first obvious. They certainly had their own agenda to fulfil which clearly extended a lot further than a protest for the enfranchisement of a few middle-class people. The question of whether the 1831 riot was a political protest is an interesting one and has plagued local historians. The tendency has been for an argument between revisionists who want to portray it as chaos and motiveless criminality and romantic liberals who see the crowd as intensely political within the context of the politics of the reform of parliament. Neither of these seems particularly satisfactory for several reasons. As I have already pointed out, if it was just chaos why were the targets so selectively chosen and the mob able en masse to traverse the city to despatch them? Why were there targeted attacks on opponents of the Reform Bill? If it was just a protest about parliamentary reform why were the prisons targeted and wealthy houses looted? Why didn’t the rioters leave peacefully once they had driven the reactionary magistrate Weatherall out of the city? 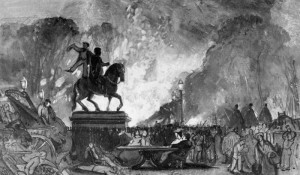 As has been shown by historians such as Rude and Linebaugh in their analysis of the ostensibly reactionary anti-catholic Gordon riots of 1780, all is not what it might seem. The political spark of a riot may be ‘progressive’ or even ‘reactionary’ but the actions thereby unleashed may reveal a deeper agenda that escapes the conventional political realm. The 1831 rioters have left evidence of their agenda and we should concentrate on this rather than trying to fit it into crude theories of ‘criminality’ or ‘acceptable protest’. The physical evidence is that their targets were the wealthy members of the corporation who undemocratically ruled the city, the religious hierarchy and the prisons that had probably incarcerated many of them. They enjoyed a debauched party of looting, drinking and wanton destruction. They exercised power over the streets and squares of the wealthy elite. Far from being terrified victims of the military assault unleashed on them on the third day, they attempted to fight back and resistance continued throughout the city. This is what has to be examined. It may have been an ‘unacceptable protest’ within the confines of the politics of the day (or today) but that does not mean it was not political. One final point of importance is the impact that the riot had. 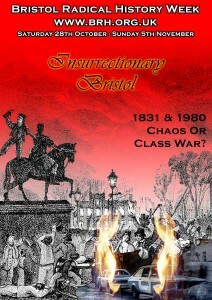 There is significant evidence that the violent unrest around the country and particularly in Bristol had a major effect upon the success of the 1832 reform bill. The undemocratic elite had both the weight of public opinion and the threat of at best riot and at worst revolution from the completely disenfranchised working class to contend with. So perhaps for Bristol ‘the propensity shown by its own working class to riot and burn the place down in 1831 rather than organise for reform more progressively’ is actually a happy error. 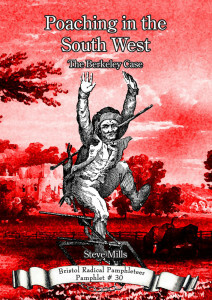 The Bristol working class of 1831with its own riotous agenda may have had a far greater impact upon the rise of democracy in Britain than the staid talking shops of the middle-class reform clubs. In conclusion I would like to emphasise the following points. There is a need to examine our understanding of what constitutes the ‘political’ before analysing historical events and I would argue that this is often limited by what is considered political within our own environment. The lack of empirical evidence does not deny organisation as such, it may just exclude certain forms of organisation. There is considerable work to be undertaken on the analysis of informal organisational modes and the transmission of political ideas within these forms. All of these points were highlighted in the public debates that characterised Bristol Radical History Week 2006.